GRAND magazine: Hello GRAND readers and welcome. 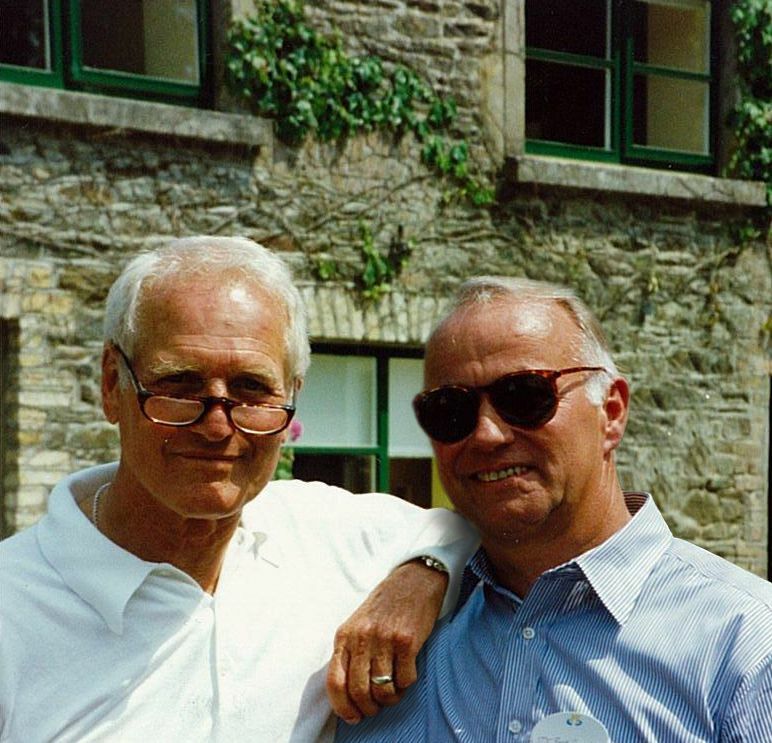 We are privileged to be speaking today with a close friend and a trusted confidante of Paul Newman’s, Mr. Bob Forrester. In its earlier days, Paul invited Bob to head up his new philanthropic venture. Today, Bob is President and CEO of Newman's Own Foundation, as well as Co-Chairman of Newman’s Own Incorporated. Bob Forrester, thank you very much for joining us. 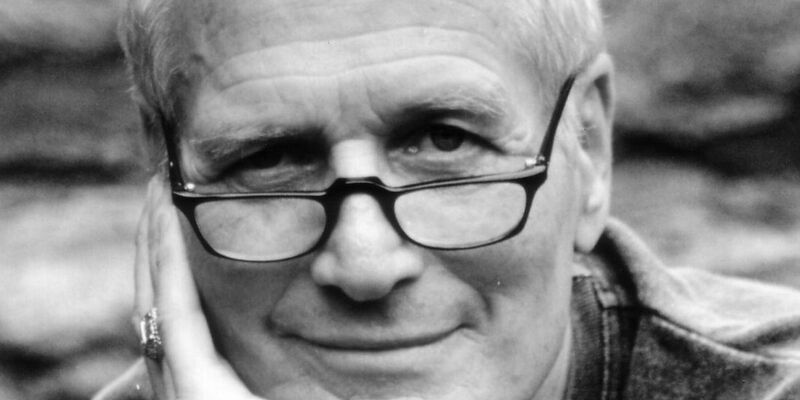 Bob Forrester: Thank you. Happy to be with you. GRAND: We’re delighted to meet you and hear a little about Paul and about the Foundation, which, as I mentioned, is something I believe in, being a long-time customer. Let me start off with a simple question about Paul: how did you meet and how did you become friends? Bob Forrester: I had the great good luck of meeting Paul and really becoming a very close friend of his. I was an army officer in Vietnam. I returned to do graduate work and went to work in a development office at a university. And that started a career for me that I didn’t even know about, in the area of nonprofit management fundraising. 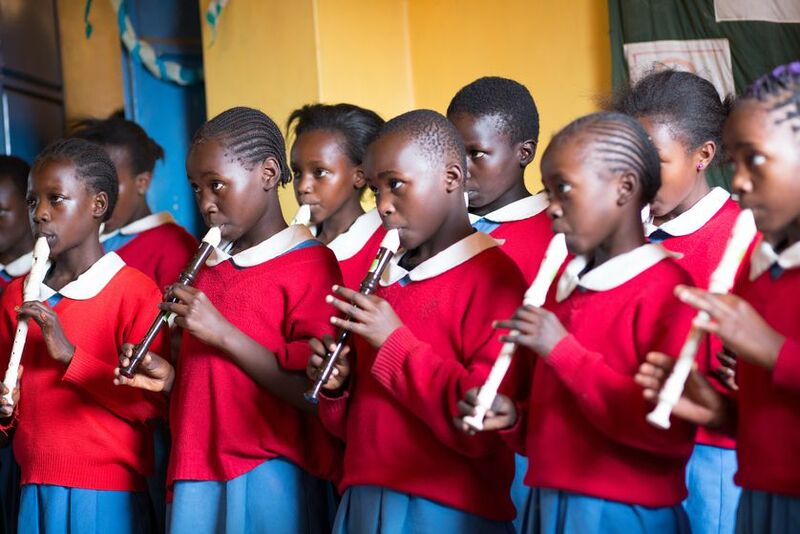 Ultimately I started my own company which became quite successful in the consulting field as a global company and in consulting with nonprofits, in terms of their fundraising programs and financial planning management, governance issues…the business aspects of nonprofits. And one day I got a call from a mutual friend of Paul’s and mine. He was then the CEO of our Hole in the Wall camps, asking if I would meet Paul to help him think about his first venture outside of the United States. 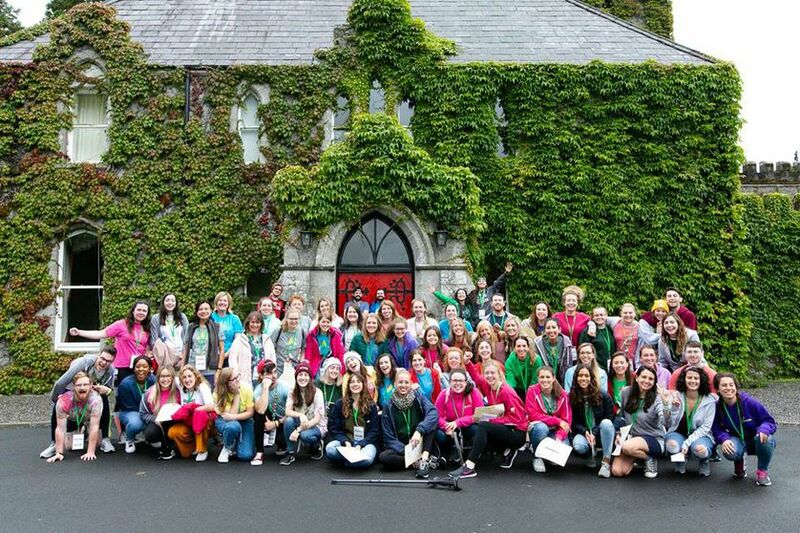 It was to build a children’s camp in Ireland. And by the way, we soon learned there are lots of castles and villas in Europe, and when you get offered one, stop and think about it first. But nothing had happened in over a year, and [he asked] would I go over and take a look at the situation — which I did. But the way the first encounter really happened was I had gone down to Paul’s to meet him for the first time, knocked on the door, and the door opened up and there was Paul and he said, ‘Hiya.' That’s how he used to greet people. And then ‘I’m Paul Newman.' I almost blurted out, ‘Of course you are. How can you possibly be anybody else?’ I mean, Paul really looked like Paul Newman; there was no mistaking him. He invited me inside and said ‘Would you like a beer?’ And I said, ‘No thanks,' and he said, ‘Come on in anyway’ in a jocular manner, and I said, 'Well, wait a minute. I’ll take that beer with you.' And we actually just sat down and began to talk. We never really talked about Ireland in that first meeting. And that was Paul, you know, he got to know people. I did go off to Ireland and look at things and it was really quite a challenge. I never really worked for him in my company. I was so engaged by what he was doing, what these camps were, and how groundbreaking they were that I did a lot of work and had my company do a lot of work, but I did it for free, pro bono, as you say. I think that helped and there was no barrier that he was a customer of mine. And from there we got to know each other. We shared the same adolescent sense of humor; enjoyed playing practical jokes. And we also enjoyed writing and enjoyed thinking about things. He was at an age when he was really interested in and had risen to a level of thinking in a broader sense. You know, during his career lifetime, he pretty much compartmentalized aspects of his life. He had his acting and movie career; he always said ‘that’s my job,' and he had a group of people he knew around that and some were friends and many were colleagues. And then he had racing, which was really a passion of his, and of course his family, and he loved fishing and things like that, but they never crossed. As he got older, the one thing I think that really arched over everything else was this interest in philanthropy, his interest in trying to understand how to help make the world a better place. Paul was a man of great humility. He never thought he could make it a better place, but how he could help do it. And so I think I was fortunate just to be able to connect my background and interest at a time when he was really focused on that. GRAND: Would you say this philanthropic impulse was a deep part of him, or did it suddenly hit him later in life? Bob Forrester: No, it was a very deeply embedded part of him. Paul was a man with many different aspects of character and quality. For all of his enormous celebrity in different fields, racing, the movies, theater…he was a man of just immense, almost at times, painful humility. Painful to the extent that he would not feel comfortable talking about himself in any way. He would say, ‘I was lucky to be born in the United States with all of these opportunities for me and I happened to look right for the movies. I have nothing to do with either one of those. That just happened.' You know, his mother was an immigrant and just happened to bestow upon him opportunities that might not be available to others. He and I shared, among other things, a background: we were both in combat and I was in Vietnam and few people still to this day know that Paul volunteered as a young man during the Second World War. He would not talk much about it, which by the way is not uncommon for any member of the military I’m familiar with. But he was hoping to be a pilot. The guy with the great blue eyes turned out to be color blind. He ended up being a radioman and gunner on an Avenger torpedo bomber in the Pacific theater. He was part of a replacement squadron during the battle of Okinawa. And one day, part of his squadron was dispatched to the carrier Bunker Hill, which was engaged in battle. His pilot that day could not fly, he was grounded because of an infection. And I think it was two or three days later and the pilot was still grounded when Bunker Hill was hit by a couple of kamikazes. There was a terrific loss of life, over 300, including every single member of his squadron who had deployed to the Bunker Hill. And that left a deep, deep, deep, deep impression on him…he could never think of himself as being special ever again. I mean, he didn’t sit down there as a kid, and say, 'Okay, I’ve got this philosophy now.' It’s just like, you’re humbled among the many searing emotions and experiences that you carry with you after that. That is where his sense of sharing came from. He said, ‘I have enough. What could be better than to hold out your hand to those less fortunate than you.’ There was no intricate philosophy and well before Newman’s Own, Paul was a man of generosity. I know that for a fact. And in a quiet way. It was always quiet. GRAND: That experience with Bunker Hill would also fit in with that philosophy around luck. Bob Forrester: Exactly. I was in places where people were much more secure and safe than I was during the moment and they were killed. I was out in the open. So figure that out. GRAND: The humility is a theme that maybe a lot of us wouldn’t know about. It seems to be part of American life that if you are reserved, you’re often regarded as arrogant. Bob Forrester: Yes, exactly. Paul was shy. He was uncomfortable around large groups of people until he understood that the people were just regular people and then he could really get comfortable. That was real. He was not aloof. He was not arrogant. You’re absolutely right. A lot of people think, well, he’s got his nose in the air, but not Paul. He’d like to go share a beer with any stranger as long as that person was just a buddy. GRAND: And it’s hard for celebrities to know who to trust as well. So there was probably an element of that. Bob Forrester: Yeah, exactly. There is. GRAND: Can you tell us a little bit how Newman’s Own came about? Bob Forrester: I was not part of the founding history. That was in 1982. But I know enough about it. By the way, the person who helped him at that time, who was with him when he started the whole thing just turned 101, A.E. Hotchner. He’s just had a book published. At 101 years old, he still comes into the office. He was Hemingway’s biographer, but he also writes a lot of fiction so he knows how to tell a story. If you get to read the book, it’s called Shameless Exploitation in Pursuit of the Common Good. It has a very good sense of the beginnings of Newman’s Own. Paul thought that would be funny. He did. And then somebody else said, ‘This is really good stuff. Why don’t you get it out there further?’ And when he got to that point, it was more serious. Stew Leonard’s in Connecticut was the first place to carry his commercial product. The professionals he was talking to said, ‘Paul, nobody’s going to try your salad dressing unless your face and name are on it.’ Paul said, ‘Well, that’s not gonna happen.’ Again the humility. But they convinced him that, look, that’s the way you get somebody to try it. They’re not going to try it the second time unless it’s good. That made him feel happy. He said, ‘All right. If I do that, I’m going to give 100 percent of the profits away.’ That’s when he coined "Shameless Exploitation" of himself for the common good. And I know this for a fact because Paul told me this. In fact, I have a video of he and I talking about it. So it started that way, like any small company. Paul was a classic entrepreneur. He started his first business at Kenyon College. He started a laundry. In an all-male college, how do you get 19-, 20-year-old college kids to wash their clothes? He bought a keg of beer and gave it away free and jacked up the prices of the laundry and actually made a profit. So he had an instinct for business. He loved business. He wasn’t a manager. He didn’t like managing. You give him two pieces of paper in a business setting, and he’d get confused. That was just not who Paul was, but he had the inspiration of an entrepreneur. He had the personality of an entrepreneur. He was fiscally very conservative. So every year he thought, well, we did okay but next year we’re going to tank. So he created a model for the business, not by a plan. In his office there was a sign, it’s now in our boardroom: “If I had a plan, I would have been screwed.” And he loved it. I had to convince him later that if you don’t get a plan, you’re probably going to get screwed. The company evolved, as many small businesses do, year over year by saying, ‘Okay, we did this last year, put something else on it next year, etc.' And because it was very entrepreneurial and Paul had an amazing food palate….he just loved natural foods. He was an amazing chef. So that was the start of the company — and the good luck that Paul was such a celebrity that he got people to try it the first time. And it wasn’t luck that Paul had made a hell of a good product. They were all his recipes or if not his own personal recipes, he participated in all the recipes that were being developed, that we developed later, before his passing. The last one being our frozen pizza. And he was very active in that part of the business. That’s how it started. 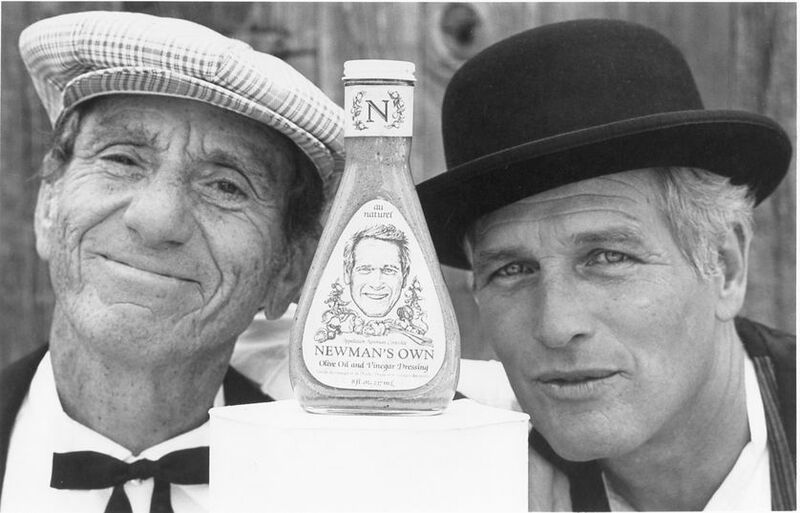 And he did mean the quality of the ingredients and the product, all of that, but he really meant the quality of every aspect of Newman’s Own. The way we thought of ourselves and our place in the world, the respect we should have for one another, and for the world around us. So that was quality trumping profit and that really is a very powerful principle. We try hard to stay true to that. That was Newman. You know, in his acting, by the way, Paul was not a natural like Joanne, his wife, was. Paul worked hard. I would watch him when he was getting ready for a movie and he’d go over scripts and he would change them and he would work hard on them. He insisted on quality. The same in his racing. You need quality to be a competitor. He was a hard competitor, but a fair competitor. He was fierce on the track personally, and if he ever did something that was really not a good thing on the track, he’d be right over and apologize to that person. But I’ve seen him get out of his car a few times, get face-to-face with other drivers. That was Paul. Everything he did, he just insisted upon it for himself. It wasn’t because 'I want to be known as this or that.' He wanted to do his very best at everything he tried to do. That was the ‘Quality trumps profit.’ And that got us to where we are. GRAND: You knew him personally, you were close, you obviously cared for him a great deal. As time goes on, what do you see for handing that baton, for the organization to keep that spirit? And do you worry that it’s going to end up a bunch of bean counters, someday, making bean counter decisions? Is that a concern for you? Bob Forrester: It absolutely is. Paul had asked me to do this many years before he passed away, but you never think your friend’s going to pass away. So we used to sit around on occasion, having a beer, and he’d turn to me and say, 'Hey Forrester, what’s going to happen when I conk?' Those were his exact words. And inside that are two promises. One, that it will still be here. And the other is that the spirit, the values would be the same. You know, Paul never wrote these in marble, so I view it as storytelling. How you pass on a culture is not by putting it in bylaws…you just hope that you pass it on to a next generation. But I have to say that, right up until this past February, that’s close to ten years since Paul’s passing, I had been overly consumed with the first part of the problem: that we’ll still be here. You know, part of that is trying to keep the business because we were actually under a real threat, an absolute threat to break Newman’s Own up. There was an old law. What Paul could do in his lifetime, which is own 100 percent of a company, take all of the profits and royalties, which he did, and give it to charity…there was no vehicle in the tax law of America that permitted that to continue after your death. It was an absolute tax rule that said a private foundation cannot own more than 20 percent of the control of an operating company, which is the food company, our only source of money. That you had five years to divest, down to that level. And of course by divestiture, the thinking was that you’d sell it. The Internal Revenue Service had the authority to grant a one-time extension from anywhere from a month to a maximum of five years beyond that first five years. So for nine and a half years, I’ve been pounding the halls of Congress trying to get legislation. I had no opposition. I had 200 meetings just in 2017 on this. I had bills introduced in the 112th, 113th, 114th and 115th Congress. It’s called the Philanthropic Enterprise Act and it was finally signed into law in February 2018. It’s not just for Newman’s Own. It allows, under very special conditions that prevent abuse, a foundation to own an operating company one hundred percent. I was 40 days away from making the final recommendation to my board of directors that we begin the process of breaking up Newman’s Own. And I don’t mind, in fact, I’d like that story to be told. We not only got a law, but we created a whole new type of business that recognizes, I think, two of our nation’s greatest characteristics: small business enterprise matched up with philanthropic generosity in a single entity. I also have to say that the experience with members of Congress that I dealt with left me baffled because I met amazingly smart, good people who really are earnestly trying to find the middle, if you will, trying to get things working. So it baffled me because I just don’t understand why it doesn’t happen. But I couldn’t make decisions on the future. I couldn’t make decisions on governance. How could I hire somebody to replace me if I said, 'By the way…this job could end tomorrow.' So all of this survival stuff has been really occupying me. There are few of us left that actually knew Paul or worked in the company in the early days, so it’s becoming even more urgent that we tell these stories. I have a legacy project going where we’re videoing narratives of people who knew Paul well and were part of the original lifecycle of Newman’s Own. And I can make decisions very quickly, but I don’t, because I want to tell the story of why I make decisions the way I do. Why the company might make more money doing one thing, but is that the right thing to do? And that’s how I think you pass on the values to a next generation. GRAND: To have a tax law that was preventing something so common sense and so natural, that does tap into, as you said, American strengths, which are entrepreneurship and philanthropy. It’s brilliant and it’s part of Paul’s legacy. It’s part of your legacy. We will be glad to share this story. Bob Forrester: Yes, and now I can get on with transitioning. I’m 76 years old now. I’m fortunate to be in good health and my mind generally works all right. And now, with my background in philanthropy, I think I can be more helpful moving more of myself into that field of ours. We have a good management team in place at the company. It’s a tough time in the food business. To use the jargon of the times, if you will, it’s an industry that’s being disrupted. But I never really appreciated that phrase until it hit the food business and it’s turned it upside down and inside out. The old way of doing things isn’t going to work, doesn’t work. It’s already showing up. But we’ve got a solid team in place. Eighty-five percent of all our associates are new since Paul’s passing, which to me is very encouraging because we’re getting really good people with good backgrounds and talents. We can’t compensate them as well as Unilever and Kraft. We simply can’t do that. And it would be wrong for us to try to do that. But they are purpose-driven. We have to pay them well. But we can’t just give them stock options and big salaries like others. But their sense of purpose...you know, at the end of the day, they can go visit one of our camps with children and say, ‘That’s what it was all about.' Or go to the largest slum in Africa, where we have a project, or go and be with our veterans. We have a huge program working with small veterans groups around the country. So it’s wonderful. I’m encouraged. GRAND: So you’re central to that niche of purpose-driven for-profit work and I think there’s a real need for that. I think a lot of people are a little disgusted with, let’s just say, material greed for no better end, and yet they still want to be comfortable, of course. Bob Forrester: I agree with you. By the way, when I started this process in Congress, I had no political clout or anything, so I had to really figure some things out. What are the challenges? If this is an earmark just for Newman’s Own, it’s going to make the climb a lot steeper. I began to do research and today we’ve identified and are working with 30 other companies that are modeled after Newman’s Own. We actually have a program inside Newman’s Own Foundation to help encourage them now and develop them. They range from craft breweries to restaurants to consulting companies. And I think, now that the law is passed, we’ll see an increase in this. GRAND: Children were the focus for the camps. Did the loss of his son, Scott (to drug overdose in 1978) affect the direction of his philanthropy, or did he just want to make the world a better place…however that happened? Bob Forrester: I think it’s both. I never really talked to him about Scott and how that fit into things. He would talk about Scott, but it was more about the bad luck that young people can have just by experimenting and doing things that all of a sudden gets them down the wrong path. But with the children, he again said, ‘I just wanted to acknowledge luck.’ And he said, ‘What could be more unlucky than to be a child and have cancer? You had nothing to do with this. It was just bad luck.’ And he wanted a place where children could just raise a little hell and not worry about the pain and isolation of their conditions. He actually said, ‘I wish I could claim some moral philosophy here or personal experience, but it’s not there.’ I mean, that’s what I think made him a genuine philanthropist. He just thought it was the right thing to do and he looked for purposes that were being missed and this was something that was really being missed. So for instance, the Hole in the Wall Gang camps, now called the SeriousFun Children’s Network, these camps are taking children with orphan diseases. These are children with conditions that are so rare that there really is no medical specialty for them. There is no pharmacy interest in them. So for instance, the camp in Connecticut has taken in the last 18 months 100 percent of the children in America who have Progeria. If you understand what Progeria is…it's a condition where you grow ancient, very quickly. It has a lot to do with not being able to develop any kind of fat content. It’s terminal. There are only, I think, 28 of these children in all of the United States. Now, how unlucky is that? You’re still a kid. You are six years old, but you look like you’re 100 years old and you’re going to die in a few years. That’s what Paul was all about. Where’s it being missed? How can he do his little bit? And he never worried about ‘Is it going to work or not?’ If there was a need and he had some trust in the people trying to fulfill that need, that was it. For me, at least, his simplicity made it all the more profound. Maybe it’s because of my background, after dealing in the field for close to 50 years and reading people’s essays on philanthropy and philosophies…for him, it was just the right thing to do. And you can’t argue with that. Obviously, I get passionate about it. GRAND: It’s a legacy that needs to be shared because we need all that. The heart and the spirit…go from the gut and do the right thing. We will always need reminding of that. Bob, you’ve been so generous with your time. We’ve gone way beyond what we thought we would. Thank you! Bob Forrester: I could keep going. It’s been a pleasure. 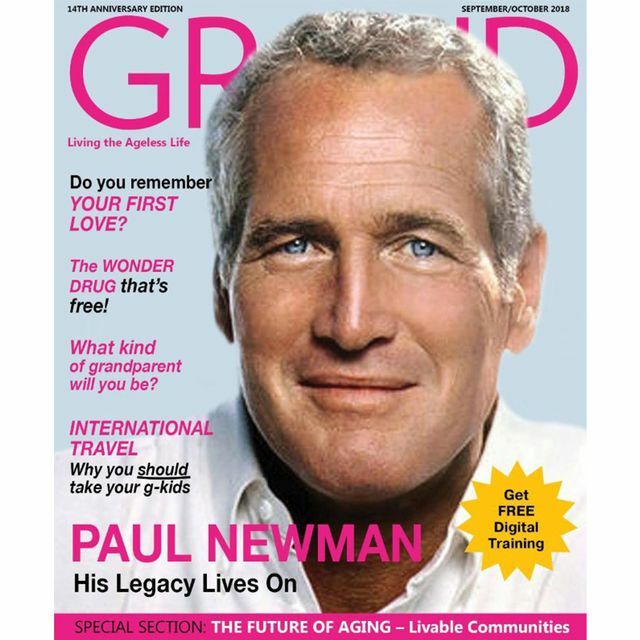 GRAND is a lifestyle magazine for today’s grandparents living the ageless life. We celebrate the joys and help provide solutions to the many challenges of being a grandparent in today’s tech-savvy world.